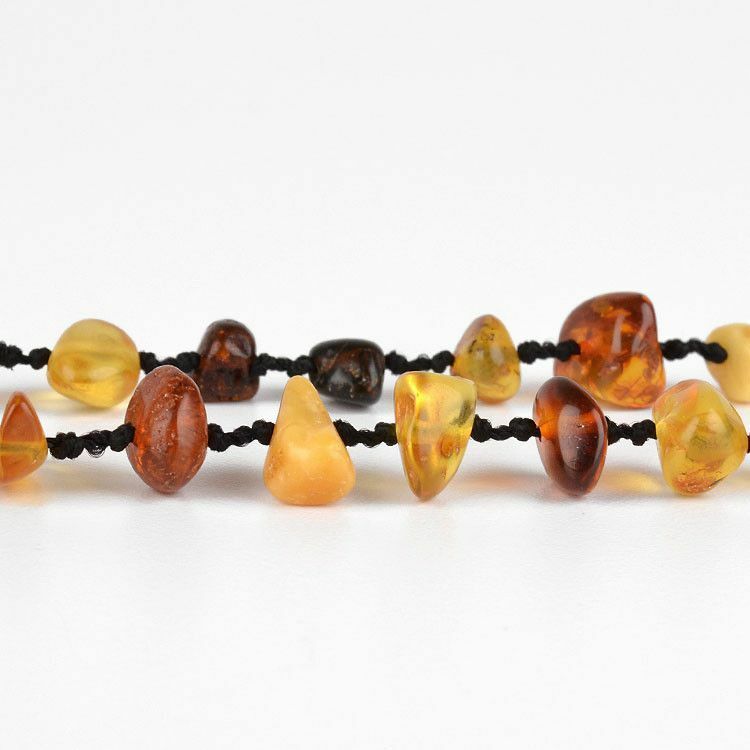 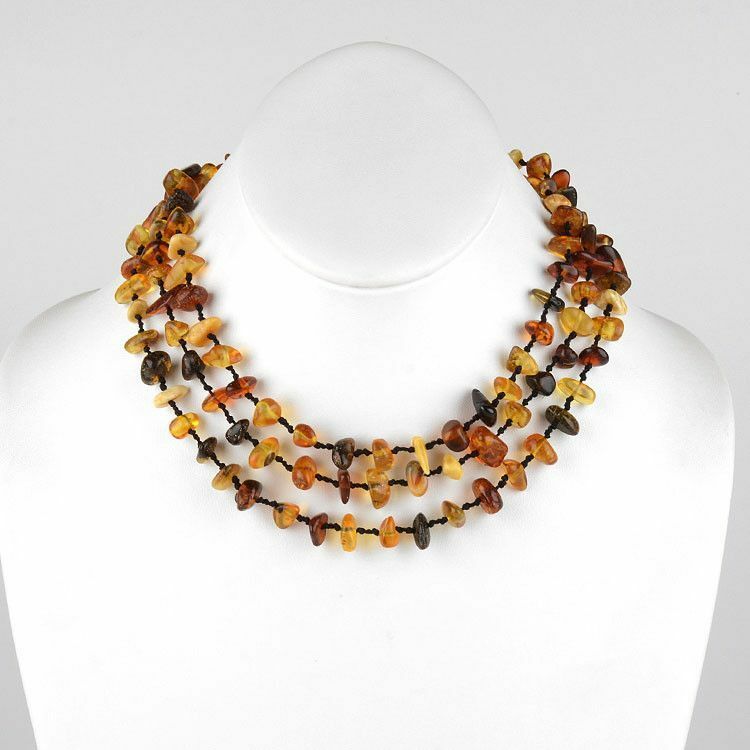 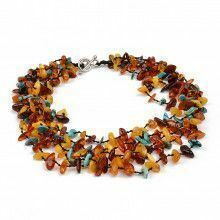 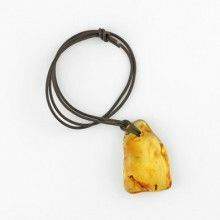 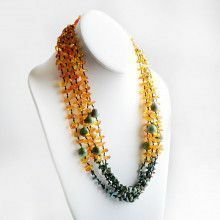 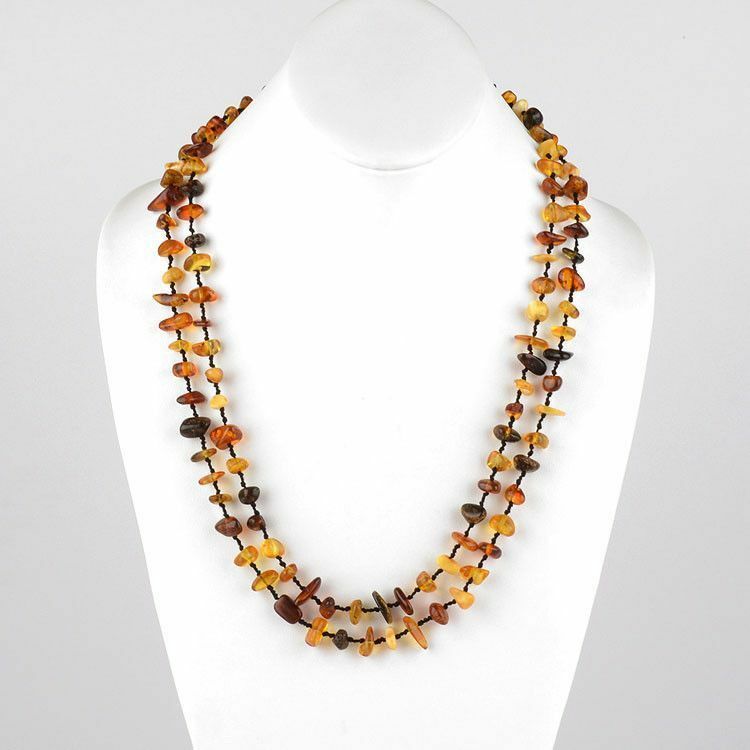 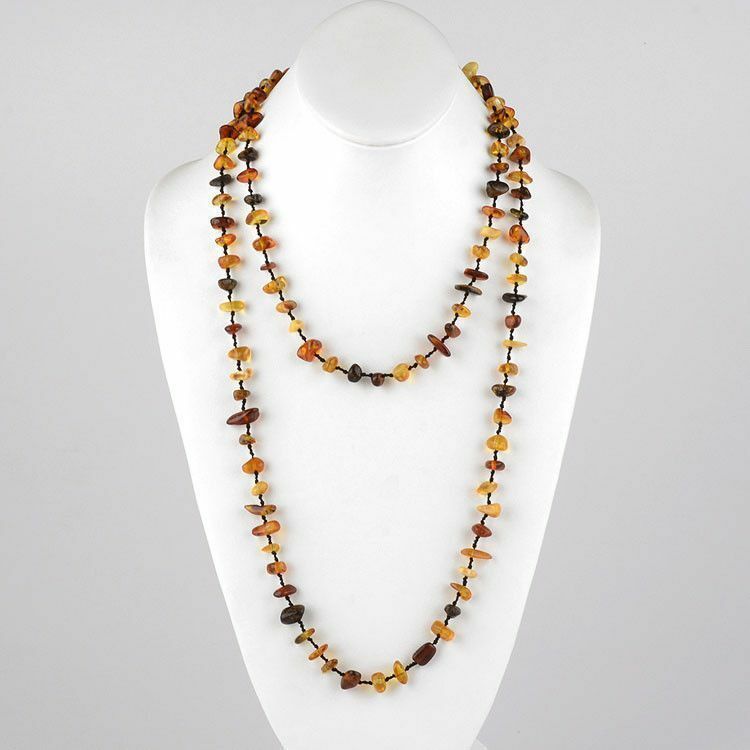 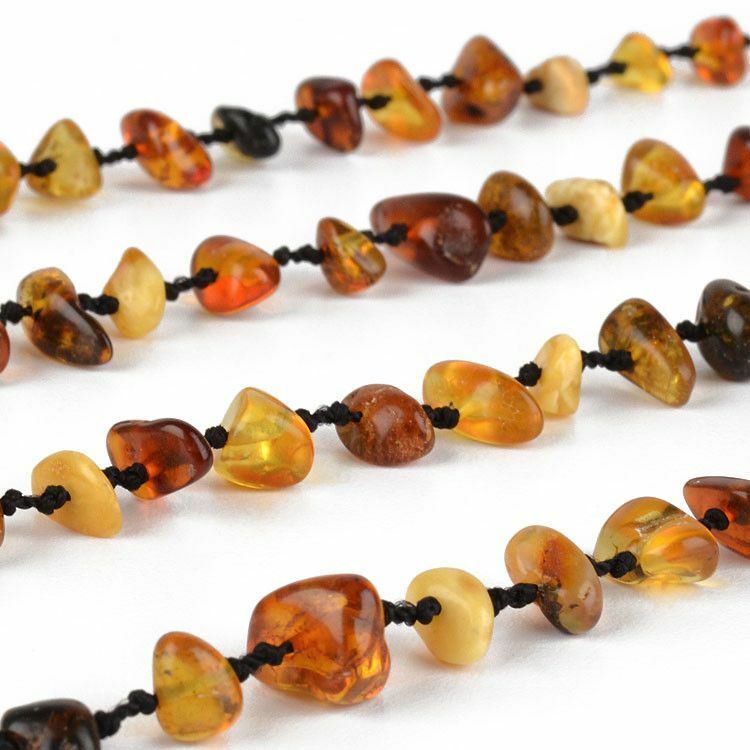 This long, lightweight, colorful, and fun necklace features small authentic amber nuggets, hand-strung with two knots in between each bead. 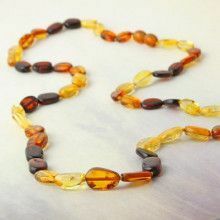 Each piece of amber contains its own unique beauty; some are very clear, some are opaque, others have bright inclusions, and some have natural lines and blemishes. 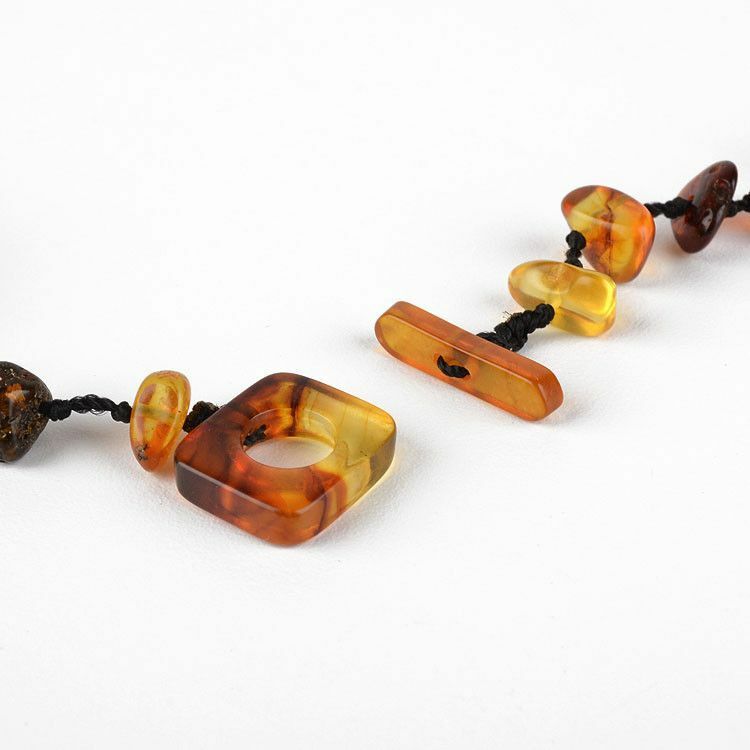 A toggle bar closure completes this wonderful neck jewelry, which can be worn a variety of ways.